We strongly believe that, our Professional Services attitude is the leading innovation to lead us toward our success. Our secret of success is to strictly follow our service approach to resolve all your issues. We are proudly recognised and licensed by the following Professional Bodies. 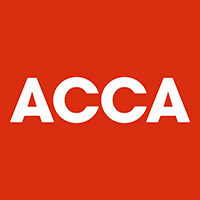 ACCA is the world’s leader for accountancy professiona and most forward-thinking professional accountancy body. Our principle partner’s qualification and technical experience is acknowledged and recognised by ACCA. Our principle partner has been awarded a Fellows (Senior) Membership from ACCA. 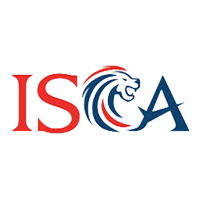 ISCA is the national accountancy body of Singapore, ISCA is also the Administrator of the Singapore Chartered Accountants Qualification and the Designated Entity to confer the Chartered Accountant of Singapore – CA (Singapore) designation. Our principle partner’s, Desmond Loh Kian Ming, qualification and technical experience is acknowledged and recognised by ISCA. Our Principle Partner, Desmond Loh Kian Ming, has been awarded a Public Practising (recognised professional in providing accounting related services to public) Membership from ISCA. 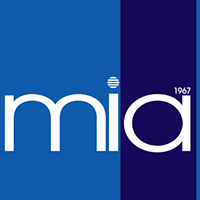 MIA is the national accountancy body of Malaysia, MIA is also the Administrator of the Malaysia Chartered Accountants Qualification and the Designated Entity to confer the Chartered Accountant of Singapore – CA (Malaysia) designation. Our firm is recognised as a licensed Accounting Firm from MIA to provide accounting related services to public according to the Accountants Act. Our principle partner’s qualification and technical experience is acknowledged and recognised by MIA. Our principle partner has been awarded a Public Practising Certificate (recognised professional in providing accounting related services to public) and Full Membership from MIA. CFP recognition is awarded by FPAM (Financial Planning Association of Malaysia) in Malaysia. 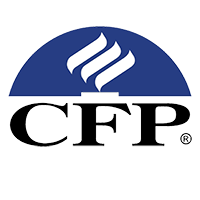 FPAM is an established financial planning association with authority to distribute Malaysia CPF professional recognition on behalf of CPF Board United States. Our principle partner’s qualification and technical experience is acknowledged and recognised by FPAM. Our principle partner has been awarded a Full Membership of CFP. 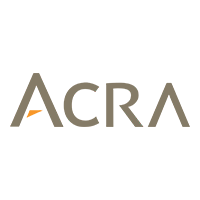 ACRA is the national regulator of business entities, public accountants and corporate service providers in Singapore. ACRA constantly strives to provide a responsive and trusted regulatory environment for businesses, public accountants and corporate service providers. Our sister company in Singapore is recognised by ACRA as an independent auditors’ firm to provide Audit and Assurance Services to the the public and licensed Statutory (Secretary) filling agent in accordance with their requirements. Our principle partner’s qualification and technical experience is acknowledged and recognised by ACRA. Our principle partner has been recognsied as a qualified secretary and independent auditor (recognised profession in providing accounting, secretary and audit services to the public). SSM is a statutory body in Malaysia which regulates companies and businesses. 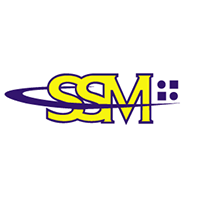 The main activity of SSM is to serve as an agency to incorporate companies and register businesses as well as to provide company and business information to the public. SSM is also responsible for the administration and enforcement of the various legislation and Act in Malaysia. We are recognised by SSM as a licensed Statutory (Secretary) filling agent in accordance with their requirements. Our principle partner’s qualification and technical experience is acknowledged and recognised by SSM. Our principle partner has been recognsied as a qualified secretary (recognised professional in providing secretary services to the public). Our sister company in Singapore is recognised by IRAS as an income tax and gst filling agent. (recognised profession in providing income tax and GST services to the public). MOF is the leading strategic authority enabling financial and economic outcomes to ensure sustainable growth and prosperity for the people and the nation of Malaysia. Our principle partner’s qualification and technical experience is acknowledged and recognised by MOF. Our principle partner has been recognsied as a qualified licensed GST agent and advisor (recognised professional in providing GST related services to the public). We are recognised by MOF as a GST preparation and filling agent in accordance with MOF requirements. To be one of the leading Public Accounting Services Group and providing highest standard of services to our clients. This is the key value in DTL. We believe that the success of the company will depend on the customers satisfactions. Therefore, we will try our very best to make sure customers are always satisfied with our services. Accuracy and timely information is crucial for the decision making of the entrepreneurs. Therefore, we always be there to provide timely and quality information as and when your business need it. Our management team has the necessary competent and experience in accounting, auditing, taxation and business advisory. Therefore, we are confident that we not limited to providing the compliance services to our clients but we also has the ability to assist them along the path of success with our professional advice. We believe that listening from our clients is an important element to resolve the management and accounting issues for them. Therefore, we will always listen from our clients with appropriate feedback and advice. We understand that all the business documents are strictly private & confidential. Therefore, rest assured that all the documents of our clients will be kept in safe, private & confidential condition. We promise to provide the one-stop professional services beyond our clients expectation. We are not only provide superior services with an affordable price but also provide necessary professional advice and assist our clients to resolve the administration issues to ensure all our clients have an enjoyable experience with us.